Given how small the Cotswolds is, it always surprises me how well known it is. Perhaps it is the golden stone, the pretty villages that seem to attract more than their fair share of celebrity residents, or perhaps it is the new breed of foodie entrepreneurs popping up in the area. Thyme at Southrop Manor is one such business that has diversified and created something truly special. Set in a former monastery – a few doors down from Kate Moss’ pad, if we’re still talking celebrities – Thyme is a stunning barn conversion featuring a state-of-the-art kitchen and cookery school, a lecture theatre and dining room, plus three cottage suites and an eight-bed manor house available for rental, and gorgeous grounds. Owned and run by the same folks as The Swan pub and restaurant, the venue runs cookery, growing, gardening and foraging courses; and, most recently, author lectures and lunches. 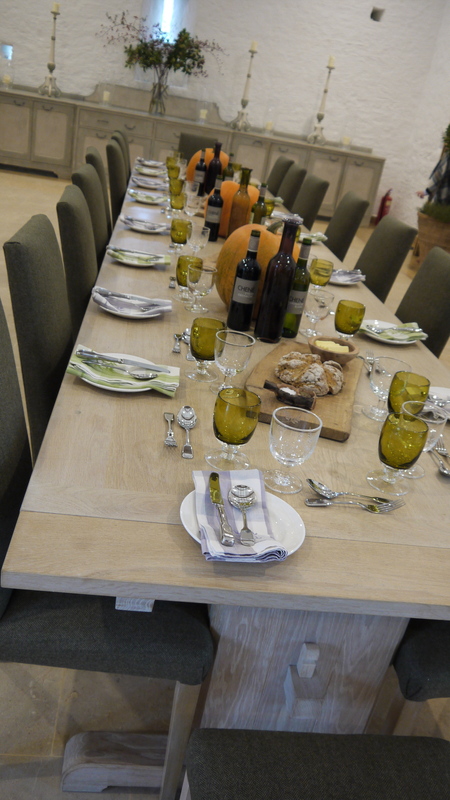 With the help of guest chef Silvana de Soissons, the founder of The Foodie Bugle, the new events have featured a talk by a renowned food writer, followed by a lunch of their recipes. With great names including Diana Henry and Guild of Food Writers award-winner Emmanuel Hadjiandreou, I couldn’t resist – my date with the sometimes controversial The Telegraph writer, Xanthe Clay was booked. If Xanthe’s not talking about the virtues of salt (I agree) or wading for English-grown wasabi, then she’s slating fake food television. 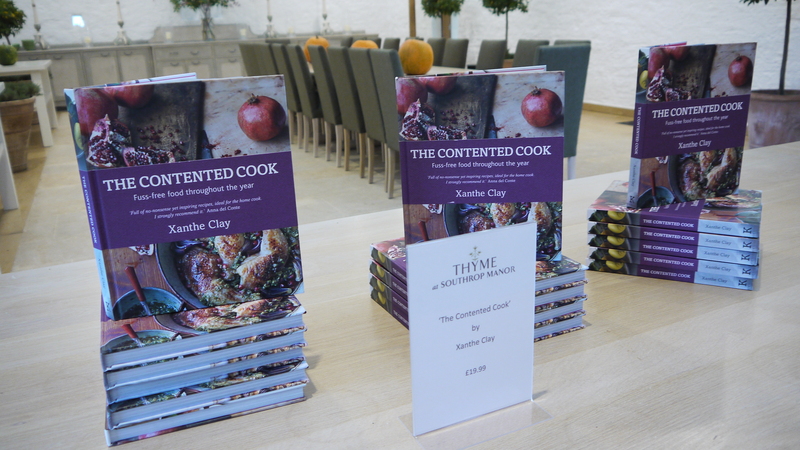 This time, however, she was talking about her new book The Contended Cook (Kyle Books). As with her last effort, Ten Minutes to Table (which has to be one of my most well-thumbed recipe books on the shelf), the ethos is very much about using a few easily available ingredients and cooking them well. The naturally confident and charming Xanthe spoke for about two hours about the idea behind the book, how she got into food writing and, interestingly, about some of her favourite kitchen gadgets and hero ingredients. 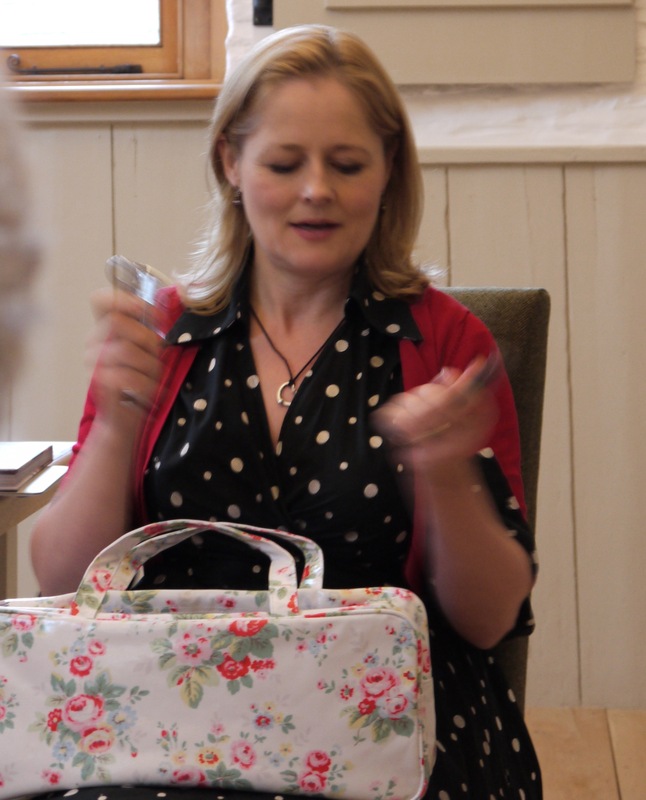 Matching her ’50s style dress and pretty Mary Jane shoes, Xanthe pulled out a kitsch Laura Ashley knitting bag, which doubled as her culinary bag of tricks. Her favourite gadgets included a Microplane – but it had to be the thin grater (less likely to break from wear and tear) and she advised against using for cheese. There was a classic rubber spatula (although she mourned for her children who could no longer get the full benefit of licking the bowl with such an efficient tool). And there was also, surprisingly, a ceramic knife. While brittle, so easily shattered or chipped, these knives are ridiculously sharp. They also never have to be sharpened. 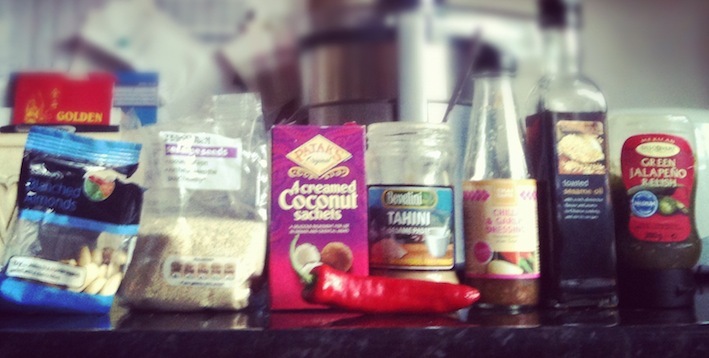 Xanthe also showed us some of her essential ingredients. Fennel seeds were passed around – these should be used as a seasoning, said Xanthe. Why are we so reliant on black pepper, she asked. There was a sweetly sour pomegranate molasses, which one of the fellow guests suggested drizzling over ricotta with crushed coriander seeds before baking – yum. Then there were English quinces, which filled the room with their heady perfume. These, Xanthe explained, needed long slow cooking to release a beautiful flush of red colour. After an informal book signing, and chance to chat to Xanthe, we sat down to a richly autumnal dinner table. A long wooden table had been simply adorned with huge pumpkins, pared back green crockery and glassware, and rustic platters of bread and butter. 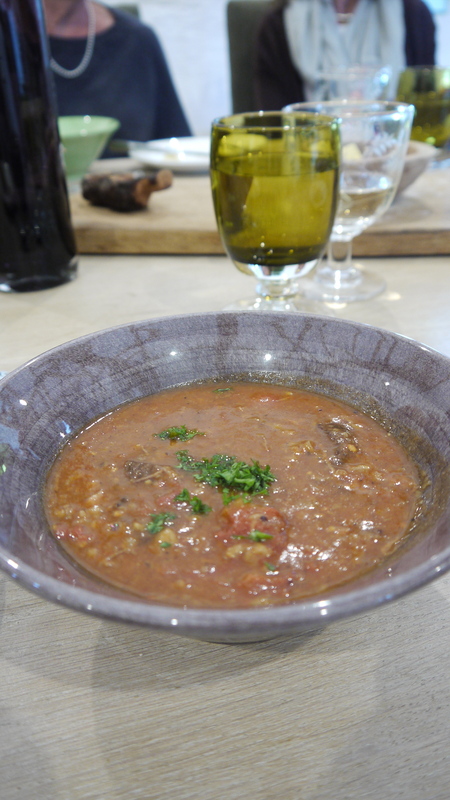 We were fed with a hearty, but a pleasingly frugal, beef shin, spelt and tomato soup. It was a whole meal in a bowl, warming, and had serious depth of flavour. The recipe is in the book so I will definitely be replicating it this weekend. This was followed by a squidgy apple cake, again in the book, which was delicately spiced, moist with a moreish sugary crust. 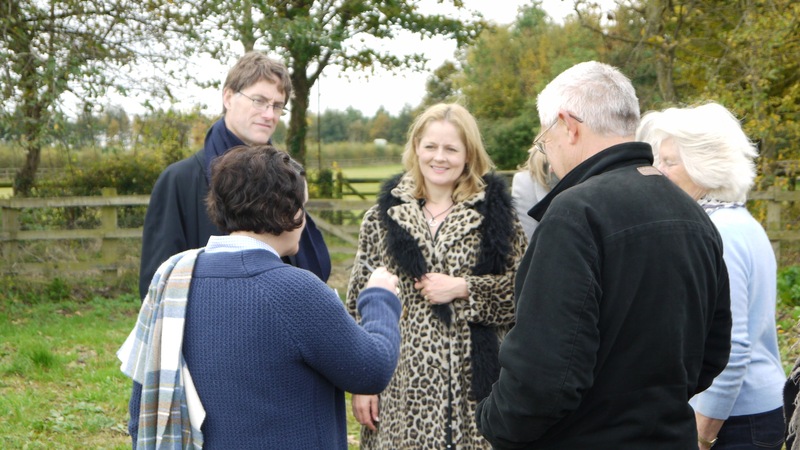 As part of the lunch, you are able to tour the grounds and the accommodation and you can see why the venue is becoming increasingly popular for weddings. The next event as part of Silvana’s series takes place this Thursday, 1 November, and costs £45 per person and includes a lecture, demo and lunch with Emmanuel Hadjiandreou. For tickets, visit thymeatsouthrop.co.uk. I’d like to blame my dad’s army career as the reason for me leading a fairly nomadic existence but I’d be lying. I was born in Swindon, grew up in the Forest of Dean, moved to the Cotswolds in my teens, and then to Cardiff for uni. I then helped write for a Cardiff magazine (then a Bristol one) in Bath, and most recently I have moved to the border of West Sussex, Surrey and Hampshire to lead the good life, oh, and write about food. And despite having moved around so much (albeit all within the relatively close confines of the South), I love it. It means that I really do feel at home wherever I lay my chef’s hat – as long as I’ve got The Other Half and the cat. Wales, though, really does have a really special place in my heart. I love Cardiff’s buzz, its shops, its friendly people, the Welsh cakes! I love Barry’s arcades and beach. I love Swansea’s contrast of industry, green hills and beautiful coastline. 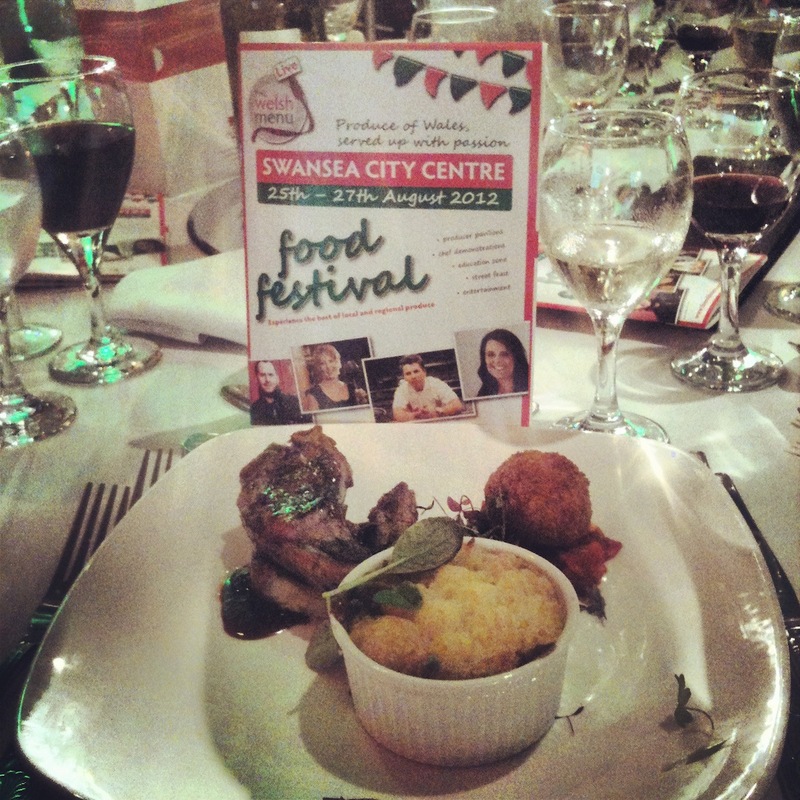 I LOVE its market and I LOVED its most recent food festival – The Welsh Menu Live. The Welsh Menu launched earlier this year as a new online magazine celebrating the best food and drink of Wales. I’ve had the honour of writing a few of the articles on there. Click here for one of my latest offerings. Over the August Bank Holiday I was invited along to the launch of its inaugural food festival in Swansea. The meal was gorgeous tasting menu of some of the best producers in Wales and included delicacies such as deep-fried cockles, Pendragon smoked salmon, a medley of salt marsh lamb, and a Welsh cake parfait with a Merlyn (Welsh liqueur) Anglaise. Jamie Owen set the perfect tone for the evening as compere – ask him about the time he tried to save some sheep – before giving us an inspirational pep talk on the importance of demanding local produce. When we eat out, he says, we should always ask if we are eating produce that is locally, or at the very least British, produced. And if we’re not, why not? The man had a point. 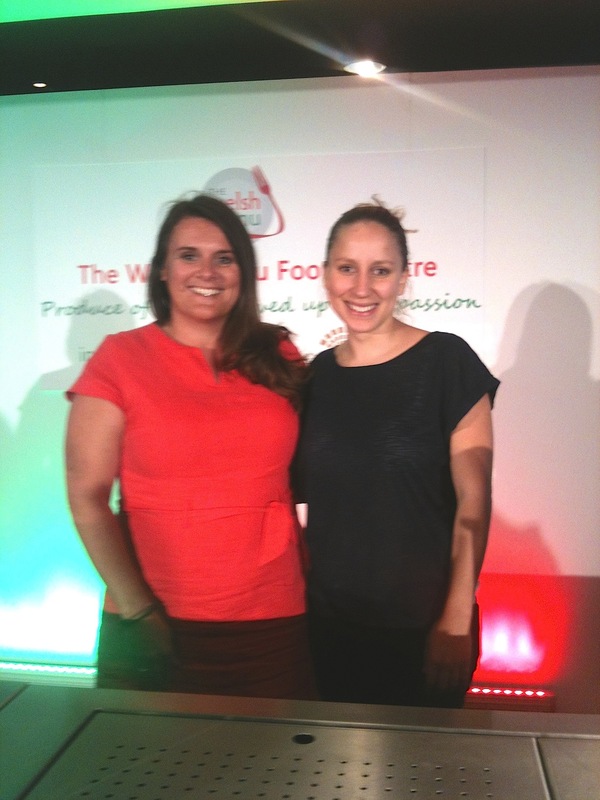 And that’s why the producers tent at this year’s The Welsh Menu Live were so fantastic. There was a range of Welsh meat producers – including that gorgeous Welsh salt marsh lamb, which is reared here on the Gower – preserves, cupcakes, Welsh slate, cheeses, street traders and more. There was also a range of demonstrations, from the likes of Fiona Faulkner, Sophie Grigson, Jo Wheatley (who I helped out behind the scenes) and Bryn Williams. Great British Bake Off winner Jo Wheatley and me! And there were also a few, shall we say, “less well known” cooks, err, me. 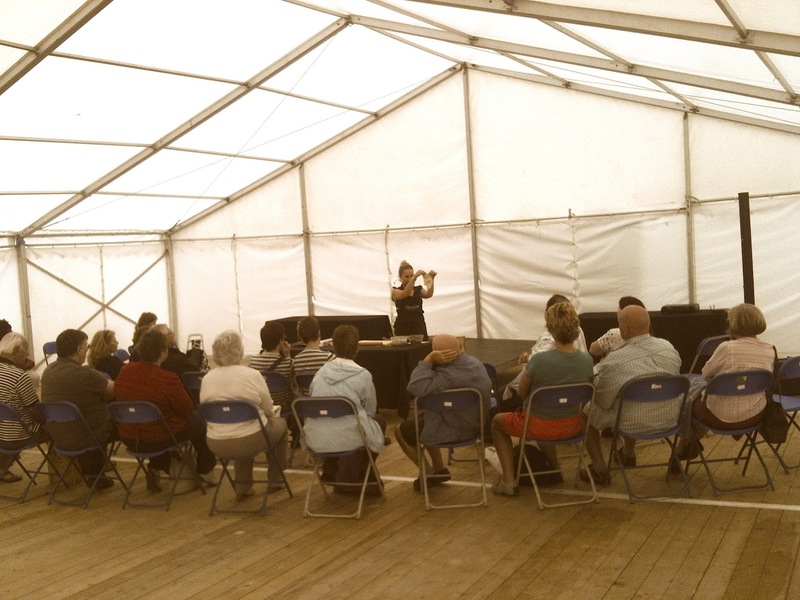 On Saturday afternoon I taught the good people of Swansea how to make fresh pasta in the ‘chefs unplugged’ tent, which was all about cooking with no gadgets, no gizmos or gimmicks. In 30 mins I showed that you can make fresh pasta from scratch, with two different ravioli fillings and no machinery. All you need is good ingredients. Here is the basic pasta recipe and I hope you and enjoy – and for those who came along to the demo, let me know how you got on making it at home! I will try and do a video blog showing all of the demos soon. PS Archfarchnad is the one Welsh word I learnt while at university. It means supermarket! Made in only five minutes – take that toast! I watched an episode of Come Dine With Me the other day (don’t judge me, we all do it) and a contestant’s top three favourite foods of all time included sausages, sliced cheese and toast. It got me thinking: am I normal? You see, I’ve never, ever, liked toast. It’s dry, bland and abrasive in the mouth. I don’t even like cereal. I admit I dabbled with porridge and had a few experimental years at university with Weetabix but nothing has ever really stuck. My breakfast ritual consists of homemade carrot, ginger and apple juice (if I can be bothered). Except, that is, for the weekend. On the weekend I celebrate the gift of time. Most often I’ll make eggs Benedict (our favourite breakfast) but if I need to crack on I’ll make a breakfast that is almost as quick to make as toast. And here it is. It’s a very quick and simple version of huevos rancheros but I am not apologising for that! It is packed with flavour even though it is made with only five ingredients and it takes only five minutes to make. Let me know what you make for breakfast on the weekend and if you try out my recipe below! 1. Turn on the grill and let the pitta breads toast. Place a frying pan over a high heat until it is smoking, then add the chorizo. Toss until the amber oils are released from the sausage and it starts to crisp. Add the tomatoes and thyme (I used some from my garden) and bubble on the high heat until it reduces and goes thick (this will take 2 mins). You can add broad beans now if you still have any left but mine aren’t quite ready in the garden yet. 2. 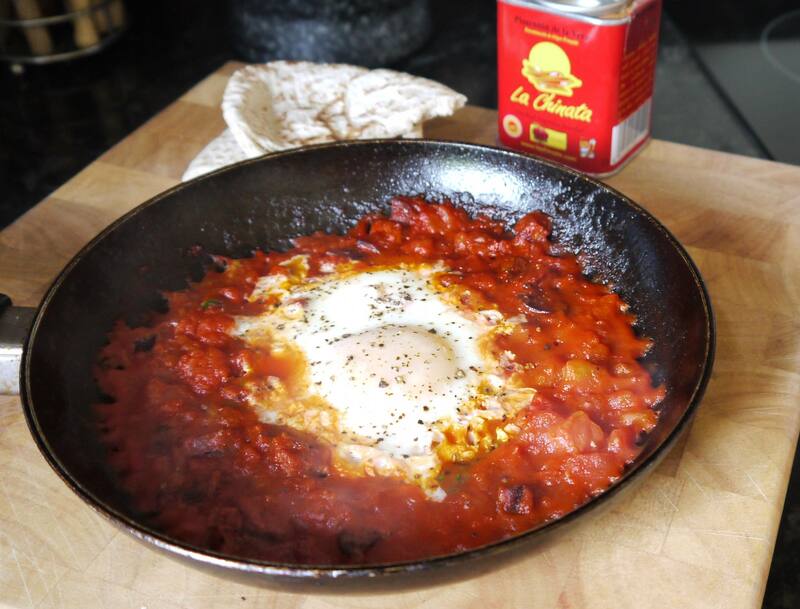 Turn over the pitta breads over under the grill and make two wells in the tomato, chorizo sauce and crack in the eggs. When the white starts to lose its translucency, season with salt and pepper and then place the pan under the grill for a further minute until the egg white is set and the yolk is still runny. 3. Place the pan on a wooden board and dunk in the toasted pittas to your heart’s content. Enjoy! As regular readers (all two of you – hi mum, hi dad!) will now know about my cooking, I tend to use whatever I have to hand. I’m not the sort of cook who will go out shopping especially for a recipe. I look in the cupboards, I look in the fridge, and I cook with my wares. I suppose I am like a traditional hunter gatherer in that respect – except my hunting ground extends from my kitchen to my patio. And so it was with this in mind that I came up with this gorgeous satay recipe. It’s not remotely authentic but it does taste really good and can be adapted to whatever you manage to hunt down. As this was an (admittedly successful) experiment my measurements are very loose. Perhaps don’t follow the recipe verbatim but use it as a rough guide, inspiration for your own take on the sauce. Let me know what you think and if you manage to come up with something better from your kitchen bounty! 1. Slice the pork steaks into thin, bite-size pieces and place in a bowl. 2. Place the rest of the ingredients, except for the broad beans, into a food processor. I’ve just got a shiny new Magimix and used the ‘mini bowl’ but a hand-held blender will work just as well. Blend and add enough water to make the mix go thick and creamy. Check the mixture is to your taste – i.e. it might need some salt, or an acid like lime juice, or even some sugar – mine, said Goldilocks, was just right though. 3. Add the mix to the pork slices and marinade for at least 30 mins to 1 hr (but the longer the better). When ready to serve, cook the noodles in boiling water, according to packet instructions. Meanwhile heat the vegetable oil in a wok and add the pork pieces and fry over a hot heat. When the meat is sealed add any remaining marinade and the broad beans and half a cup of water to loosen the sauce to the consistency of pouring cream. 4. Reduce the heat to medium and let the sauce blip away until the pork is cooked and tender and the sauce thickened and intensified in flavour. Drain the noodles and serve with the delicious satay pork! Enjoy. I am sure I am not the only woman whose partner fails to eat actual food when left to their own devices. My other half is quite content to ignore a fridge full of vegetables or fresh meat and will instead take the time, effort and expense to go to the local supermarket to buy ready-cooked cocktail sausages and maybe a Yop, if he’s feeling fruity. Oh the glamour. And so, with a night out on the cards planned, I felt it my wifely duty to cook him a ready made supper for tomorrow. As usual it is a meal thrown together with whatever I have lying around and, as such, it can be completely adapted to your larder and taste. 1. Remove the skin from the fillet of fish and slice into bite-size pieces. Mix together the polenta, the spices (the rump rub I used includes a mix of mustard powder, celery salt, cayenne pepper, brown sugar, garlic and onion powder, oregano, paprika and cumin), salt and pepper and place in a shallow dish. Place the yoghurt in another shallow dish. 2. Dunk the sole mini fillets in the yoghurt so they are lightly covered and then coat in the spiced polenta mix. 3. Place the potatoes in a roasting dish with the olive oil and a pinch of sea salt and roast in an oven for 15-20 mins until golden and tender. 3. Heat up an inch of vegetable oil in a pan – test with a breadcrumb and when it turns golden when placed in the pan the oil is ready – and then shallow-fry the goujons for a minute each side. 4. Drain the goujons on kitchen paper. Meanwhile, cut a cheek off the lime to serve with the goujons and squeeze the remainder of the lime into the mayonnaise and combine. 5. 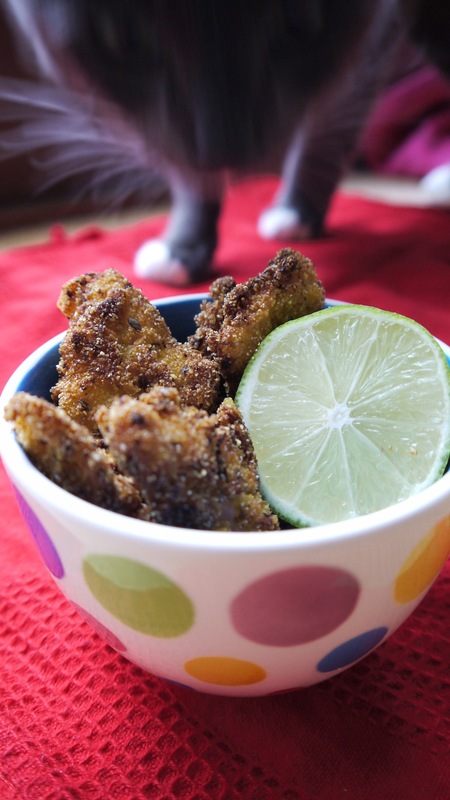 Serve the goujons alongside the limey mayo, lime cheek and roasted anya potatoes. YUM. So, there’s no excuses Mr Cotswoldcapers. The goujons and potatoes can be reheated in a hot oven and the mayo will keep nicely in the fridge. Cocktail sausages EAT MY DUST. 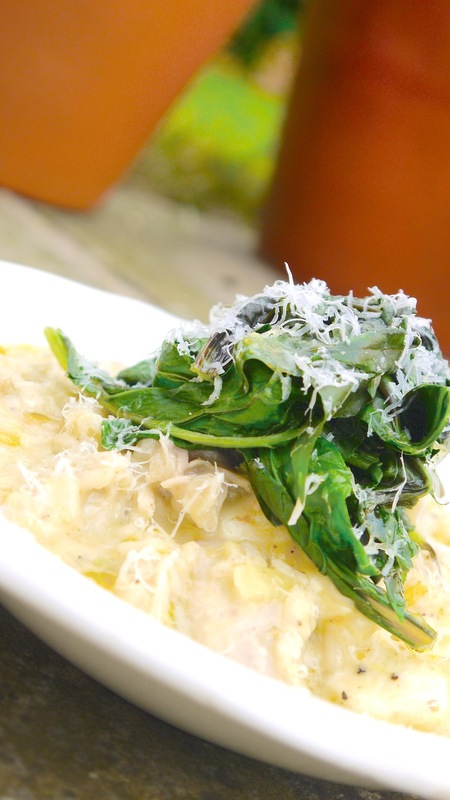 It seemed only fitting after a whole NINE MONTHS (yes, it’s been a painful gestation) of Cotswoldcapers that I write about the very first dish I shared with you, risotto. Funnily enough, The Other Half (TOH) was out, as before, and so I indulged in one of my favourite meals. Risotto is proper comfort food and yet takes minutes to make (albeit minutes religiously dedicated to the stove). Here’s a really lovely, early summer version using the sort of ingredients we all have in our fridge/ store cupboard. I hope you like it. Melt a knob of butter in 1 tbsp of olive oil in a pan over a medium heat until the butter is foaming. Snip in the spring onions with scissors and sauté until just wilted. Add the rice and stir to coat. Season with salt and pepper. When the rice is hot and covered in the oil and onions, add the first ladleful of boiling water and stir, making sure you catch every corner of the pan (odd expression, I know, but you know what I mean). Stir until the liquid is absorbed and repeat the process, a ladleful at a time, until you’ve used all the water and the rice is thick and creamy. The rice should be plump but al dente (not chalky). If you need more water, be sure to add it. Meanwhile, steam the chard until just tender. Grate 100g of the Graviera or mozzarella and stir into the rice until completely combined. Crumble the feta and add along with the roasted chicken until the feta just begins to melt and the chicken is heated through. The Graviera will give the risotto a lovely oozing stringiness, while the feta will add little pockets of sharp, salty creaminess. Spoon into a bowl (it should still be creamy and soupy, rather than a solid mass of rice) and top with the steamed chard (which has a deliciously fresh iron-y, taste), drizzle with olive oil and grate over the remaining Graviera. This should take no more than 20 minutes from start to finish. Enjoy. A very quick post to say that I’ve written my first article for the Guardian website today. 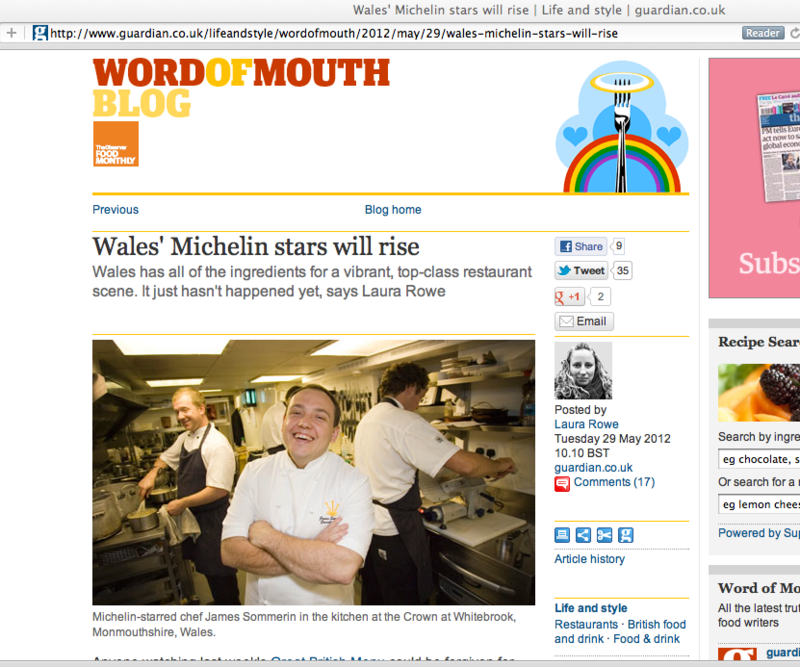 It’s an overview of the Welsh dining scene. I’d really like to know what you think, so feel free to leave comments on the Guardian comments box. And if you like it, please feel free to share or RT it. I’d like this to be the first of many articles, after all! Thanks in advance, and here it is bit.ly/L04duu.